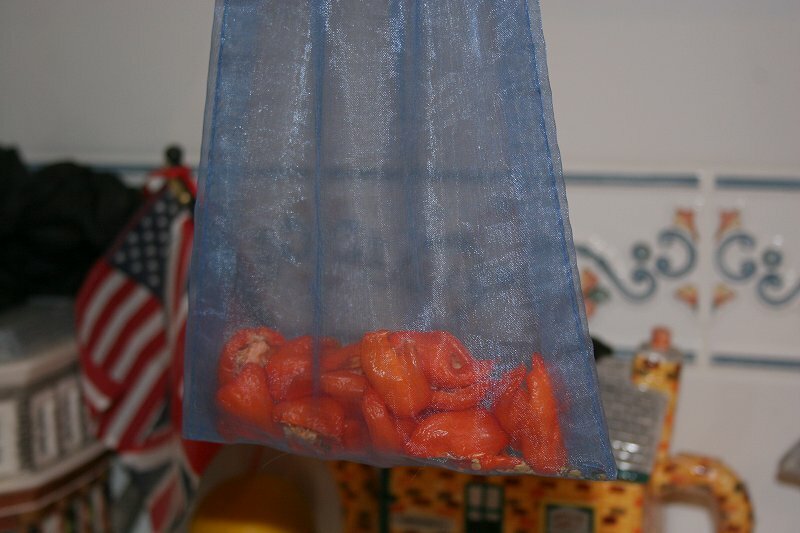 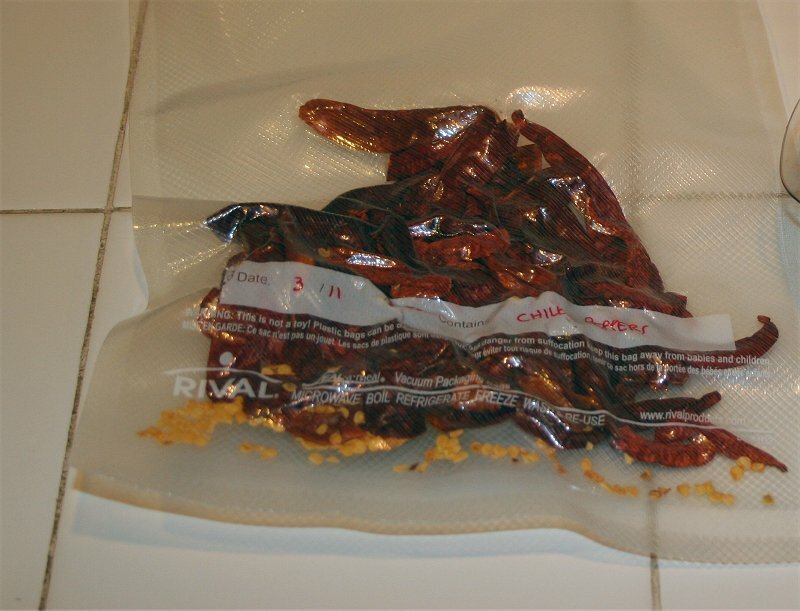 2) When my peppers have dried I vacuum pack them and store them in a cool dark place. 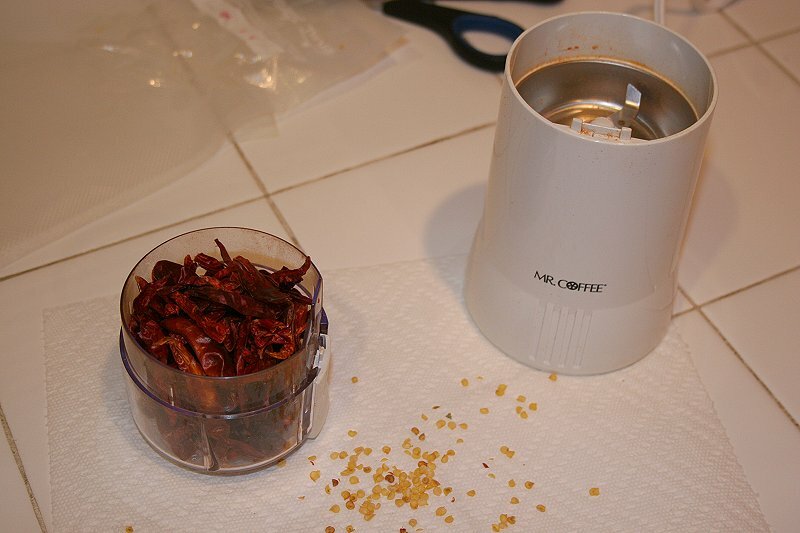 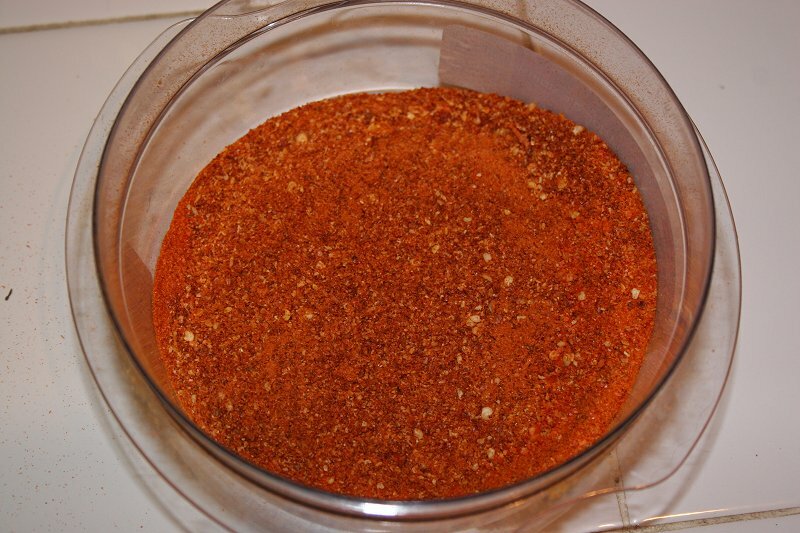 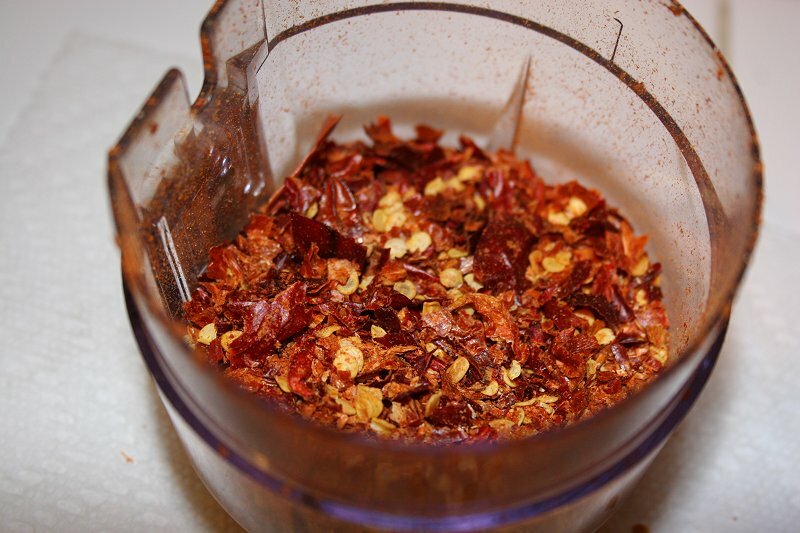 3) Unpack the peppers and get rid of any excess seeds (makes the powder a lot lighter color). 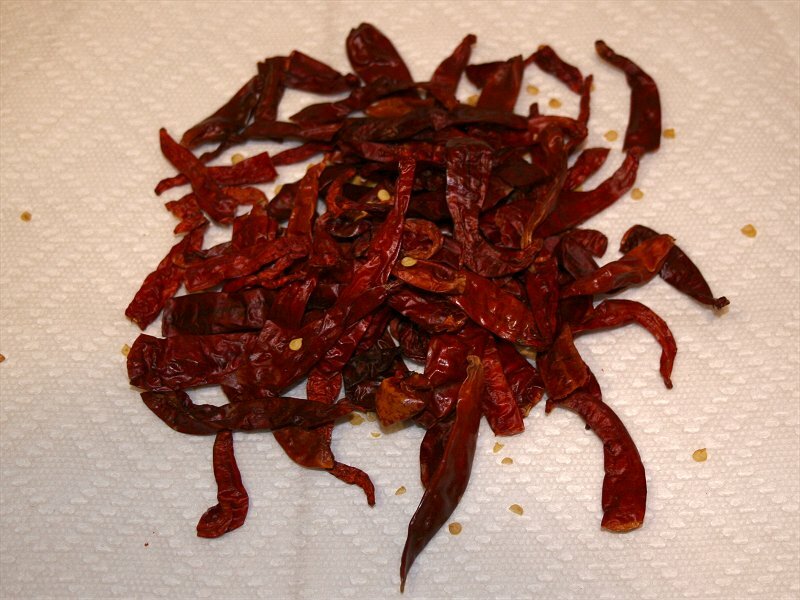 Thai peppers from last season. 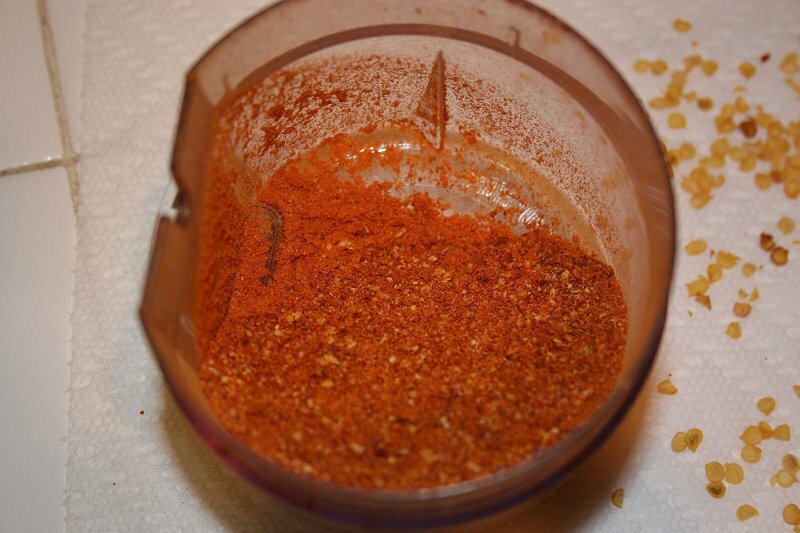 5)5) A quick grind will give you flakes like this. 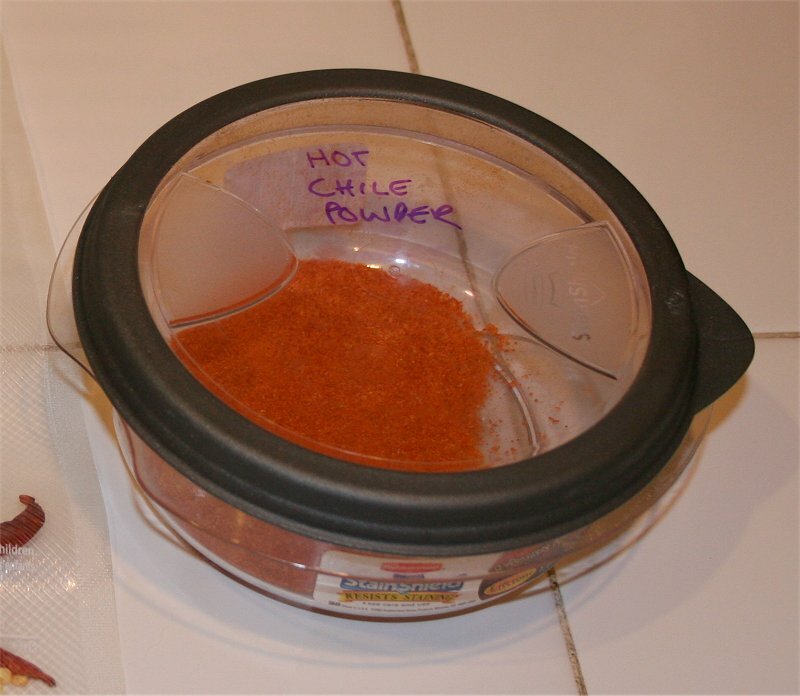 5) I then store the powder in a stain resistant air tight container.